One interesting phenomenon that I have noticed in myself is that I perceive that I am better than I actually am in reality. Call it pride or high expectations; either way, it seems that I never realize where I was until I begin to improve. When we don’t try to improve ourselves, we will have nothing to compare ourselves to in the future. If we never surpass our current state, then we will never realize that we were ever lacking in our old state. I have also noticed that the moment that we begin on the path of improvement it seems as if that path is impossibly difficult, so much more difficult than it was before. I believe that this is due to the fact that change is difficult, and as stated previously, I believe that my abilities are higher than they are in reality. Some may ask what the point is in striving to do your best? Is your current state not good enough? I can only speak for myself (obviously), so why do I strive to do my best? I see achieving your highest potential as the greatest challenge this life has to offer. Whether it be in sports, music, academics, or business, it is human nature to embrace difficulties and overcome them. I see overcoming weaknesses and flaws in my character as a challenge that is to be overcome, that I enjoy immensely. Why is improving so difficult? You don’t know how hard improving is going to be until you attempt it. If our current state of being isn’t easy or comfortable, then we wouldn’t that way in the first place. It is much easier to stay the way you are than to fundamentally change your character; however, change for the better is always worth it, no matter how difficult it was. Doing what we have always done is definitely easier, but making the change that we want can bring the satisfaction back to life that we may be lacking. Jul 1 2016 Wait for it… Or not. Rare disease, genomics and patient-driven medicine may be terms that you have never heard of. All of these terms relate to precision medicine, medical treatments that are tailored to a specific patient. These patients usually have some sort of rare disease, which is any disease that affects less than 200,000 people (in the United States). However, while the diseases themselves may be rare; having a rare disease is not rare. There are approximately 30 million people in the United States that suffer from a rare disease. What is the purpose of precision medicine? The goal of precision medicine is to develop treatments to alleviate rare diseases. The range of treatments available are quite limited because 80% of rare disease are genetic based. This means that while traditional medications could treat rare diseases, they will never permanently cure genetic disorders. Even though Precision Medicine as a discipline is still in its infant stages, there are many organizations that aim to make precision medicine available to every patient. One such organization is the Undiagnosed Disease Network (UDN). This is an initiative funded by the NIH to aid those with rare diseases to have a diagnosis. While only 50% of the current existing rare diseases have a foundation studying and supporting patients with that disease (let alone a cure or treatment for that disease), the UDN can help patients towards a diagnosis. Another example of an organization that supports rare diseases and have successfully produced one form of precision medicine (so far) is Lysogene. This company was founded by a mother, Karen Aiach, whose daughter, Ornella, was diagnosed with Sanfilippo Syndrome. At the time of diagnosis the doctors stated that the prognosis of Ornella was highly dysfunctional childhood development and an early death at the age of 20 (if not earlier). In spite of the doctors’ prognosis, Karen was determined to do something about her daughter’s health condition. She did research and talked to the right people and eventually brought a treatment for Sanfilippo Syndrome to clinical trials. Her daughter still lives, and has given hope to other patients with Sanfilippo Syndrome. Unfortunately Karen and Ornella’s story is still rare when it comes to the rare disease community. There are thousands that die annually without any cure, or even any hope for a cure. This must change. As research progresses and discoveries about rare diseases are made, more cures will come. Karen, among others, are the pioneers of precision medicine. I hope for a time when all patients diagnosed with a rare disease will be as fortunate as Ornella. You can read more about Karen and Ornella’s story here at labiotech.eu. By Cole Lyman on June 23, 2016 . Preface: This is a throwback from some years ago (circa 2012) when I was a Senior in high school, and was in honor of Pi Day. Enjoy! π It is romantic, infinite, enigmatic, and yet so simple. It can be discovered by taking the area of a circle, and dividing that by the square of its radius. It has fooled may intellectual men and women throughout the ages, and still today. I will do a little manipulation of π (and hopefully not be committing mathematical heresy) with the advent of π day. As many know π can be known as 3.14159265… Which would mean that the most accurate π day would have been on March 14, 1592. So, going off this, if π changed every year according to the date, what mathematical effects would this bring? To illustrate this I will use one of the most basic uses of π, finding the area of a circle. For ease of understanding, our circle will have a radius of 1. Reach back to third grade and remember the formula for the area of a circle A=π r2. Which means that if our radius (r)=1, then the area will be π or 3.141592. If we modify π to change every year, π would equal 3.142012 this year and next year it would equal 3.142013 and so on for eternity. The repercussions of this would be that circles with a radius of 1, would be 0.00042 units2 larger than the ‘true’ π day back in 1592. Even though this is a mere 0.013369018% increase in size and a 0.000001 unit increase per year, it could still be a pretty big deal (ok, not really). It would take 6,000 years, if this pattern is continued, for the ‘area’ of a circle to double (go from 1 unit2 to 2 units2). The year would be 7592, and every circle (where radius is equal to 1) that you would encounter would conceptually be twice the size… Crazy to think about. But thankfully π is constant, or is it since it is infinite? By Cole Lyman on June 19, 2016 . I don’t mean for this post to be a sermon, these are only my thoughts. I am passionate about these topics because it is the nexus of two of the most important parts of my life, faith and technology. My views reflect only myself, not any of the organizations that I am affiliated with including Brigham Young University and The Church of Jesus Christ of Latter-day Saints. The first commandment of the Ten Commandments explains where we should place God in our lives. While the gods that the ancient Israelites would have had above the true God may have been made of wood or stone, the gods that we can currently have above the true God are much more subtle. They surround us everyday, and may be constructed of silicon and bytes. This is not to say that technology is inherently evil. It is simply a tool, just like how the ancient Israelites used tools composed of wood or stone. The issue at hand is not the object itself, the issue is in how you view and use the object. Do you use the tool, or do you worship it? If I may add, “where you invest your time, you invest your love (and your life).” Christ said “whosoever shall lose his life for my sake and the gospel’s, the same shall save it” (Mark 8:35). I believe that this scripture is telling us less about ‘losing our life’ in the sense of dying for someone else, but rather ‘losing our life’ in the sense of spending our time in the service of others. I feel that it is essential for all people, religious or not, to audit how they spend their time. Is how we spend our time consistent with what we love, or what we want to accomplish in the world? If it is inconsistent, then there is cause for change. We can so easily be consumed by the world around us. It is easy to always do what you have always done, but you can only expect to get what you have always got. Are your actions in line with the ideals and standards that you have? If not, what are you going to do about it? Many times in John’s writing of Revelation he says the phrase “he that has an ear, let him hear.” This phrase may seem like it is stating the obvious, and could be interpreted as unnecessary literary fluff, but it reality it has deep meaning. Whenever this phrase appears it signals the read to be prepared to interpret what is said next because it is meant to be symbolic. The phrase itself has an added meaning to me. Almost all of us have ears that can hear, or eyes that can read, but how many of us use them for these purposes? Is God trying to speak with us? If so, are you listening? If we feel that God isn’t speaking to us or that we aren’t learning from the scriptures, maybe it is that we aren’t hearing. May all of us that have ears hear what we need to hear. By Cole Lyman on April 15, 2016 . In modern-day Turkey there is a city called Laodicea. One of the attributes of this city that stands out the most in modern times is its water distribution system. Not because of its effectiveness, but rather because of its ineffectiveness. Because of where Laodicea was situated in relation to the water source, by the time the water from the hot springs reached Laodicea, it was lukewarm. 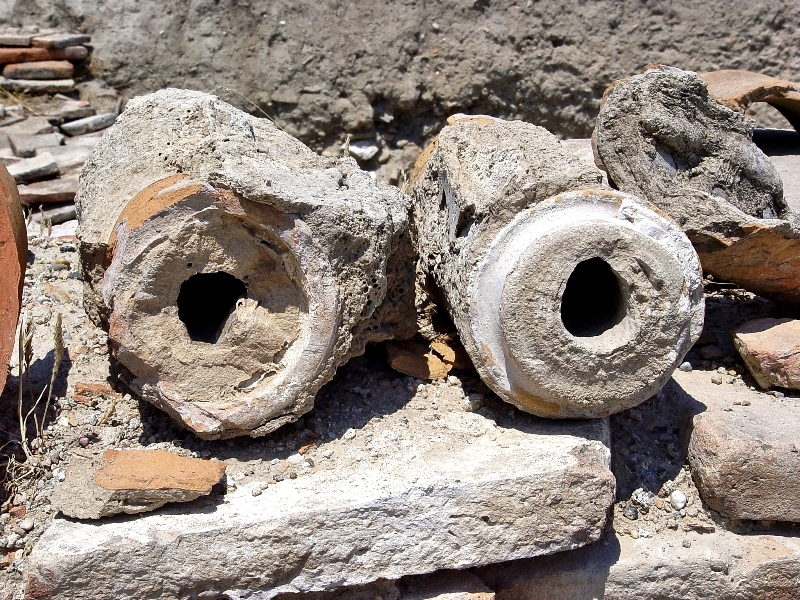 The temperature of the water was optimal for bacteria to grow, which in turn clogged the pipes of Laodicea (see picture). Had the water been warmer, or colder, the pipes would not have been clogged. John was not referring to the effectiveness of Laodicea’s water system when he wrote “Thou art neither cold nor hot: I would thou wert cold or hot” (Revelation 3:15). He prefaced this with “I know thy works” (Revelation 3:15); John was referring to the spiritual temperature of the Laodiceans. How can one be spiritually hot or cold? Is there a spiritual lukewarm? I believe that in reality spirituality is a binary matter, meaning that there is no true middle ground. We may say what we believe, but we show what we truly believe through what we do. In the end, we are either on Christ’s side or we are not. Those that say that they are on His side, but show otherwise may be considered to be lukewarm. When we are lukewarm the spiritual water that flows from God to us is inhibited. We do not act on the promptings that are given to us, and the flow of water will gradually be diminished to a mere trickle. Distractions and temptations will pile up and clog our spiritual pipes. Let us always be spiritually warm, that the living water that we receive may always flow with abundance. By Cole Lyman on April 9, 2016 . It is unclear who wrote the epistle to the Hebrews, but the thesis of this epistle is as clear as glass. The purpose of this epistle is to convince the Judaizers that the Law of Moses has been fulfilled and that Christ’s sacrifice is sufficient to fulfill the Law of Moses. This epistle is filled with doctrine that is accepted (and contested) by many sects of Christendom. Isn’t it ironic that the purpose of this epistle was to clear up misunderstandings about the transition from the Law of Moses to the Doctrine of Christ, yet it is the source of much contention in modern Christian sects today? The author of Hebrews states that “we are sanctified through the offering of the body of Jesus Christ once for all” (Hebrews 10:10). This is compared with the sacrifices of the Law of Moses that are repeated by a priest multiple times a year. The comparison of these two types of sacrifices is significant because it shows the inadequacy of the Law of Moses. The Gospel of Jesus Christ, and his atonement are greater than what the Law of Moses can offer. Later in the chapter, the author states that Christ has brought “a new and living way, which he hath consecrated for us, through the veil, that is to say, his flesh” (Hebrews 10:20). When Christ was resurrected, the veil in the temple was rent (torn). This allowed all people in the temple to see the Holy of Holies, no matter if the person was a Gentile, a woman, or a leper. This never happened previously because only the high priest was able to be in the presence of the Holy of Holies. Christ enabled everyone, Jew or Gentile, to enter into the presence of God through His resurrection. Christ’s sacrifice has changed my life. It has enabled me to overcome weaknesses and to improve myself. It is the sweetest feeling to know that there is someone on my side. Someone that knows me and that loves me enough to die for me. Someone to believe in me, and to show His belief through His actions. These are not just words, these are my convictions. May you be able to feel his love too. By Cole Lyman on March 27, 2016 . The second epistle of Paul to Timothy is colloquially known as the last epistle (that we have in the Bible) that Paul sent. It is insightful to see the changes that Paul has experienced from his ministry. In his epistle to Timothy, Paul prepares him for the impending apostasy. Paul prepares Timothy not only by sharing warning, but also sharing tender and loving encouragements. Paul begins chapter 4 of 2 Timothy with a prophesy that “the time will come when they [the Saints of the Church of Christ] will not endure sound doctrine; but after their own lusts shall they heap to themselves teachers, having itching ears [desirous of hearing something pleasant]” (2 Timothy 4:3). The scriptures speak often of soothsayers that will say what the people want to hear rather than what the Lord would want the people to hear. Apostasy is when the true doctrine of Christ is replaced with something else, whether that be on an individual or a mass scale. Furthermore, Paul says that the Saints of the Church of Christ “shall turn away their ears from the truth, and shall be turned unto fables” (2 Timothy 4:4). The Greek word for ‘fables’ is mythos, which is interesting considering what occurred with the Christian religion as it evolved through the ages. Pagan holidays were associated with Christian events and many of the doctrines were polluted with concepts gathered from mythology. Paul has come a long way from the road to Damascus to the point where he is writing this epistle to Timothy. Perhaps it was Paul’s training as a Pharisee, but when he began his ministry he was very brash and extremely bold in most things. As he progressed he developed more of a loving and tender side. He is still direct, and at times as bold as before, yet there is a tenderness that can be felt. Paul gives a piece of loving encouragement at the beginning of the chapter when he says “reprove, rebuke, exhort with all longsuffering and doctrine” (2 Timothy 4:2 emphasis added). 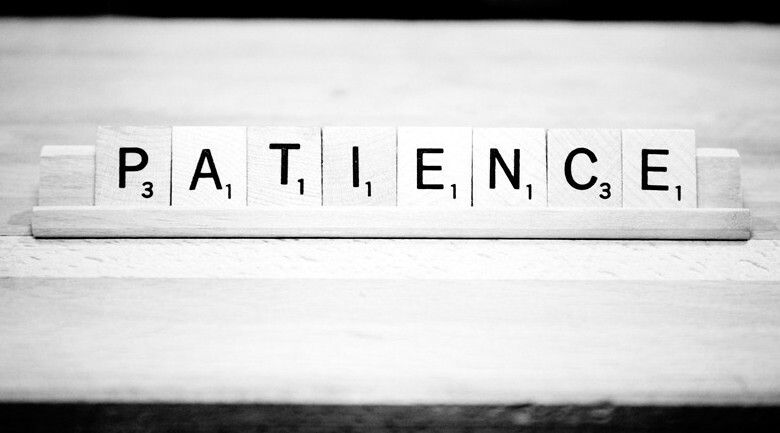 Paul shares that me must have longsuffering when we reprove, rebuke or exhort. I feel that this is a lesson that Paul learned during his ministry. We cannot convince or coerce anyone to do anything that they don’t want to do. No matter how convincing the argument or how enticing the reward, people will do nothing on behalf of someone else’s convincing. If you ever think that you are too far gone, that you can not change from what you have done in the past, stop it! Think of where Paul was early in his life, killing followers of Christ. Then in his last epistle boldly stating “I have fought a good fight, I have finished my course, I have kept the faith” (2 Timothy 4:7). What made the difference in Paul’s life? Why did he change? How did he change? It was nothing that Paul did that changed him except for his choice to follow Christ. Paul realized that he was wrong, and he did something about it despite the emotional and social pressures that could have prohibited him from changing. After he realized his weakness, he changed and he changed for good. Paul understood that the grace of Christ was for him. Let us all follow Paul’s example and ‘fight a good fight,’ choose what is right, and do what is right. By Cole Lyman on March 20, 2016 . The epistle of Paul to Philemon is the shortest of Paul’s epistles, however, what it lacks in length it makes up for in content. This epistle is very sweet and it is an extended metaphor to the redemptive powers of Christ. This epistle serves as a letter of recommendation to Philemon on behalf of Onesimus. Onesimus used to be one of Philemon’s servants, but he ran away. While Paul was imprisoned he taught and baptized Onesimus, now Onesimus wants to return to Philemon (whom Paul also baptized). Embedded in this story is our own personal story of our estrangement from God and our redemption through Christ. In this story we must remember that the whole reason that Paul is writing Onesimus a letter of recommendation is that Onesimus has changed. Paul states, “I beseech thee for my son Onesimus… which in time past was to thee unprofitable, but now profitable to thee and to me.” (Philemon 1:10–11) Onesimus has changed his ways, he has become a new man. Who does Christ ask us to be? What does He ask us to change? He asks us to be “even as [He] is” (3 Nephi 27:27). All of us have fallen short of the expectations that God has established for us, but we have the chance to return in full fellowship through the recommendation of Jesus Christ. We do not know if Philemon accepted Onesimus back after he returned, but we do know that God will accept us back through the grace of Jesus Christ. This beautiful metaphor of Philemon and Onesimus helps us remember what that truly means. By Cole Lyman on March 11, 2016 .